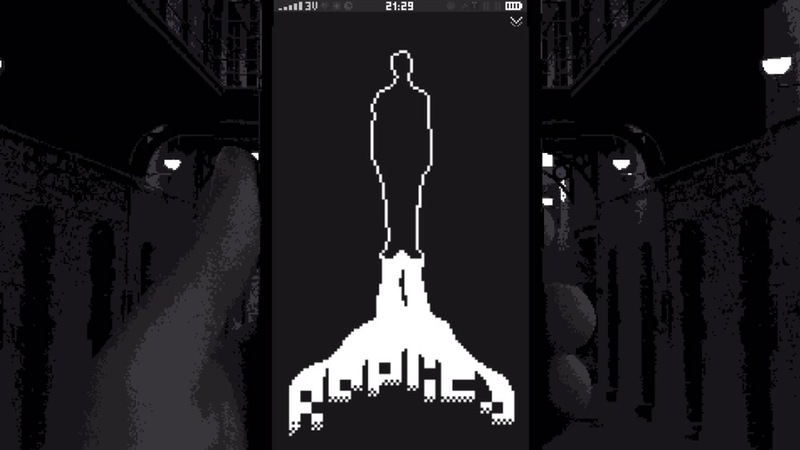 This is a complete step-by-step walkthrough with help, hints, answers and solutions to help you find all the endings in the iOS, Android and PC game Replica by SOMI. Feel free to ask for extra help in the comments section. See my Replica review here. This is for Ending 4, the most straightforward ending, which you get by following directions as you’re told. You can find the other endings at the bottom. 2. You should get a call from 4885. If you don’t get it right away, start tapping around at things and it should come in. Answer it and he’ll tell you to download the ToDo app so you can notify Homeland Security of suspicious activity you find on the phone. 3. Open the Store app and download To Do and Like. 4. Open the ToDo app and swipe through all the instructions, then press the arrow to start using it. 5. The first objectives are easy. Open the Contacts app and tap on Dickey’s name at the top, as well as his phone number. The next ones after that are also in his contacts. Just tap on his parents’ names and his girlfriend, Marge. 6. The next objectives are a bit trickier. For his age, find the text message from his teacher, Mr. Fremont. Tap on “Tomorrow’s your seventeenth birthday, right?” You can answer the the phone when Marge Sherwood calls, or refuse it. This one time, it won’t make a difference if you answer. 4885 will call and reprimand you if you do answer, though. Make sure you answer him. 7. 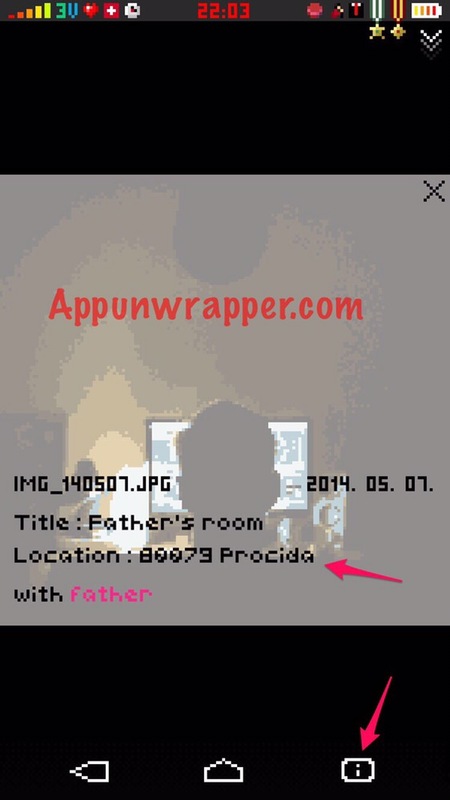 For his address, go into the Photos app and to the camera roll. Look at the first photo of his father at his desk. 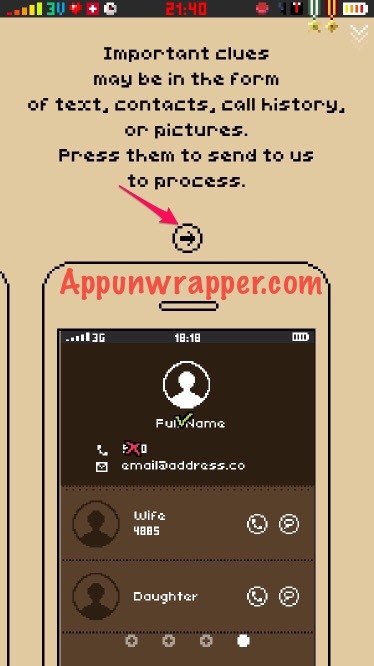 Tap the info icon and then tap on their home address. For the school, open the photo of a classroom and do the same thing. 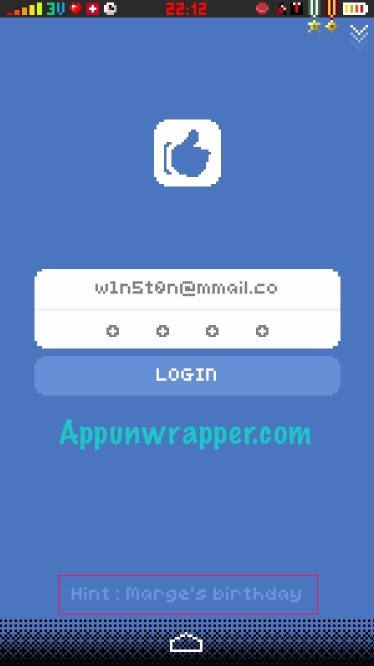 Tap on A.W. 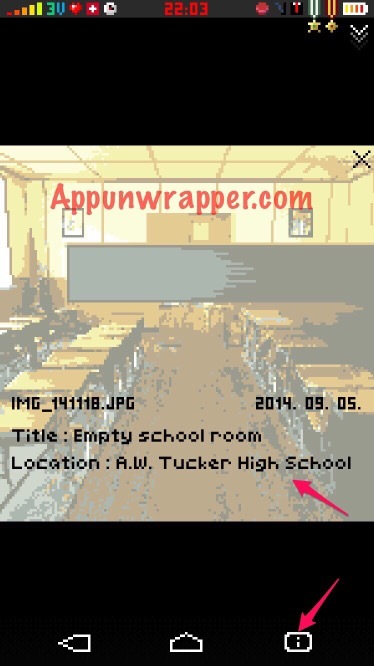 Tucker High School. 8. You’ll now get a call from 4885 asking you to find nine pieces of evidence of terrorist activity. To do this, you’ll need access to Dickie’s Like profile, so let’s crack that open. First, open the Like app and tap on the space where an email address should go. Next, open Contacts and tap on Dickey’s email address ([email protected]). It will automatically be added to the Like app. Now, we need the password. 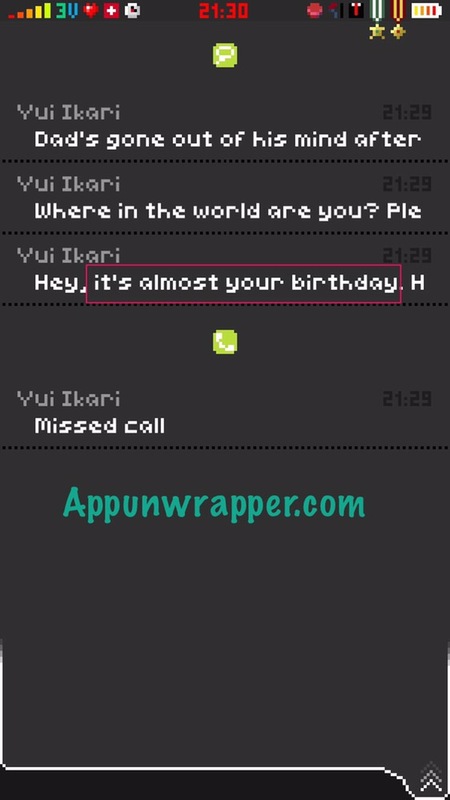 If you try to log in a few times, it will give you a hint: Marge’s birthday. So let’s figure that out! Go to the camera roll again and look at the photo of the girl blowing our birthday candles. 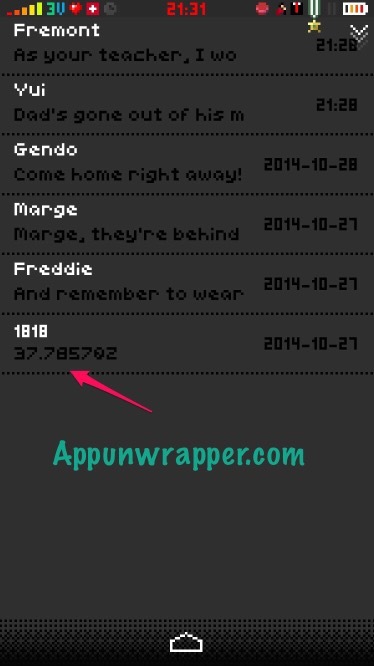 The info tells you it’s Marge and the date stamped is 10/18/2014. So her birthday is 10/18 and the Like passcode is 1018. Use it to get inside. To unlock Twitter: Try logging in until it lets you reset your password. You’ll get a text notification with the word CALL. Turn it into numbers on a phone and you get 2255. That’s the passcode! To unlock the secret photo folder: It’s their anniversary, which is 10/26. So 1026 is the passcode. Ending 0: Refuse to pick up the phone when 4885 calls. Do it several times in a row to get this ending. Ending 2: First, you need to find the text from 1818. There are some strange numbers. If you identify them as a evidence of terrorist activity, you’ll get a new objective on your ToDo list, which is to figure out the meaning of the strange numbers. If you then call 1818 on your phone, you’ll get Ending 2. If you can’t get through the first time you try it, you may need to complete Ending 4 first. 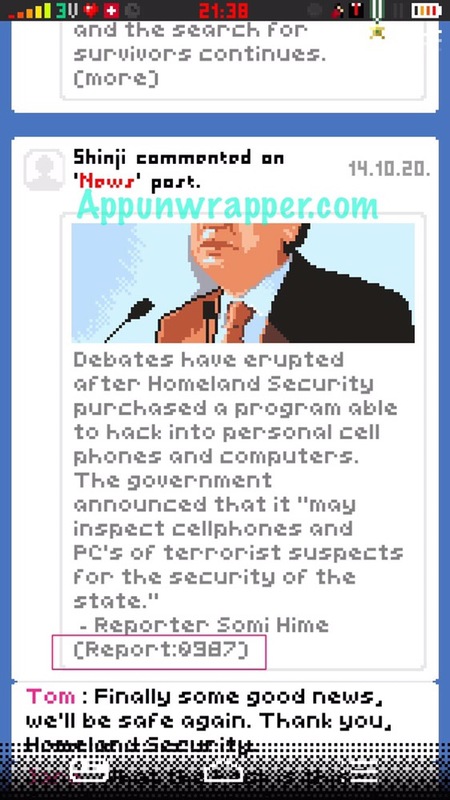 Ending 3: Once you hack into Dickie’s Facebook page, there’s a news post by a reporter called Somi Hime. It’s says, “Report:0987” and if you call that number, you’ll reach the reporter. For this ending, keep Location services off and he won’t be able to find you. Ending 4: This is the main ending. If you follow your orders and find all the terrorist links, as well as unlock the secret album to find the hidden photo, you’ll get this ending. I’ll add a lot more details to this soon. Please bear with me. Ending 5: Use the number 0987 to call the reporter, Somi Hime, but first go into settings and turn on Location services. That way he can find you. Ending 6: This one is super super tricky and you wouldn’t be blamed for not figuring it out on your own. First, go into settings and turn on Bluetooth. You’ll notice that there’s a device nearby called “Ripley’s phone.” And you’re Tom Ripley! So how to get that code? First, complete Ending 4 — if you’re here, though, I’m guessing you already have. But you may or may not have missed that at the end of Ending 4, 4885 tells you that your (as in Tom Ripley) phone number is AF16. So now what? How do we make sense of that? This is where it gets tricky. After completing an ending, you’ll have access to a second home page screen with a calculator app. You need to use the calculator to translate the A and F into numbers. And yes, it’s a frustrating solution. But if you start entering numbers into it and press HEX (for hexadecimal), nothing will happen until you get to 10. 10 translated into HEX is A. 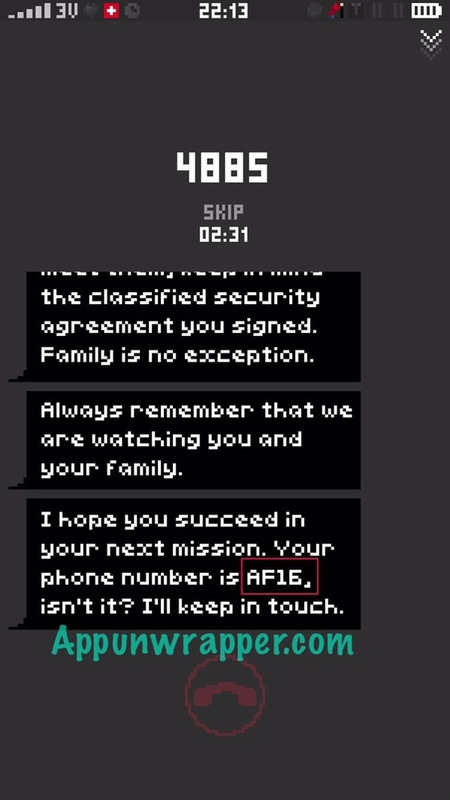 If you continue, then you’ll find that 15 is F.
So the passcode for Ripley’s phone is 1015. I’m not sure why the “16” from AF16 is just chopped off. I found that frustrating, too. But there you have it. 1015 is the number you need. So enter it to contact Dickie (or whoever you’ve swapped phones with — if you already got Ending 11, you may have already killed off Dickie). He’ll ask you to push the big red button on November 5th. Now, unless you’ve been playing long enough for the time to have pushed the game from November 4th to November 5th, you’re going to need to do it artificially. It’s not very obvious, but if you tap to the right of the red button, where there’s a little T, it will fast-forward the time. Do so until the clock goes past 00:00 to show it’s a new day. Now press the button and answer the phone to see Ending 6! 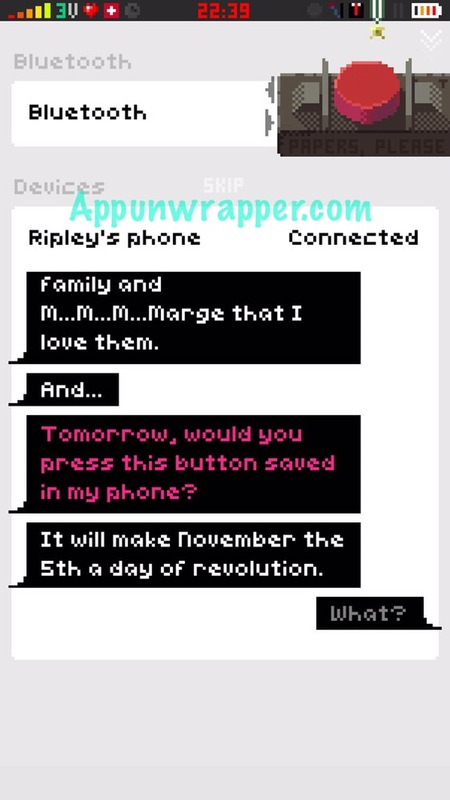 Ending 7: Do the same thing as for Ending 6, but don’t press the button on November 5th. Instead, fast-forward all the way to November 6th! It’s tedious and will take a while, but you’ll get Ending 7 as a reward for your patience. Ending 8: Some of the endings show some weird pink text. They’re actually Morse code. 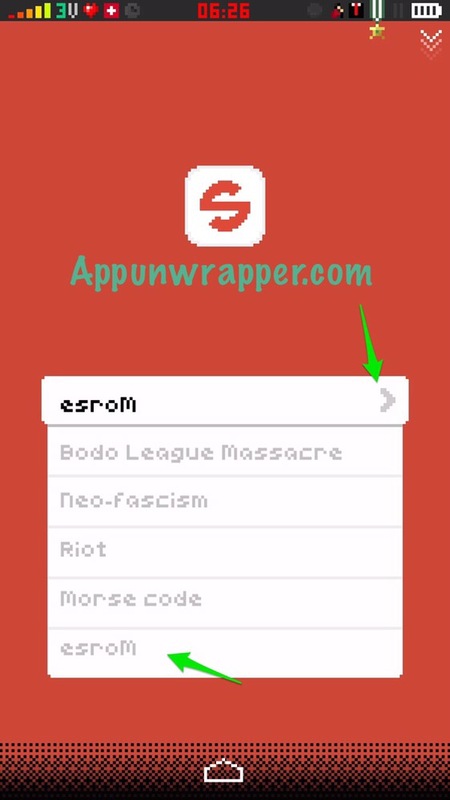 If you use the Search app to search “esroM” you’ll get an image that will help you decipher the codes. 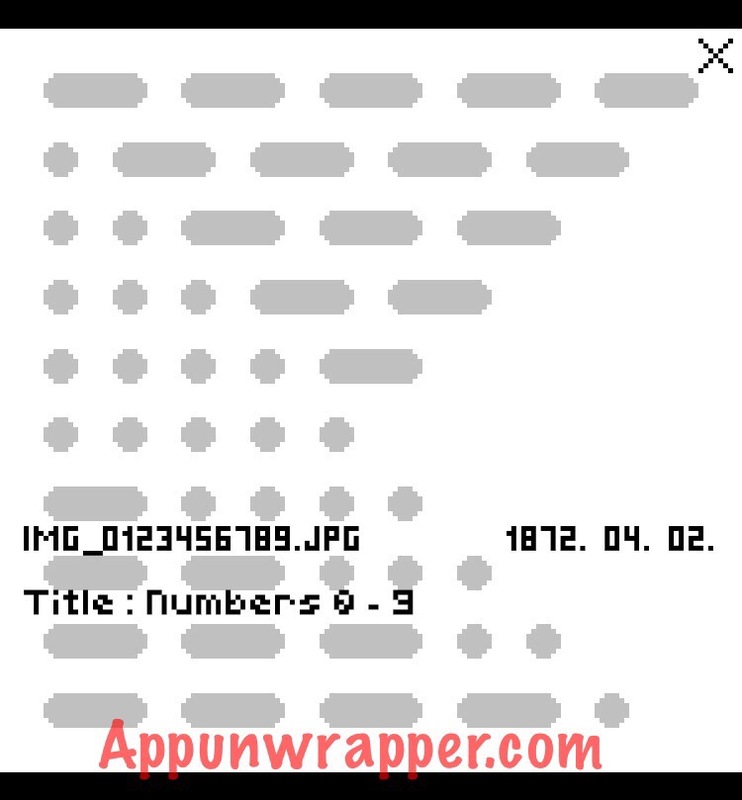 Check the info to see that the image is called IMG_0123456789.JPG, which tells you that the first line is 0, then 1, then so on to 9. For reference, DIT = dot & DAH = dash. You get Morse code from endings 1, 2, 3, and 4. Decode them and put them in order and you get 4989. You’ll also hear some knocking. Type the word “knock” and tap the little “enter” icon to send it through. You’ll get a choice between the red pill or the blue pill. 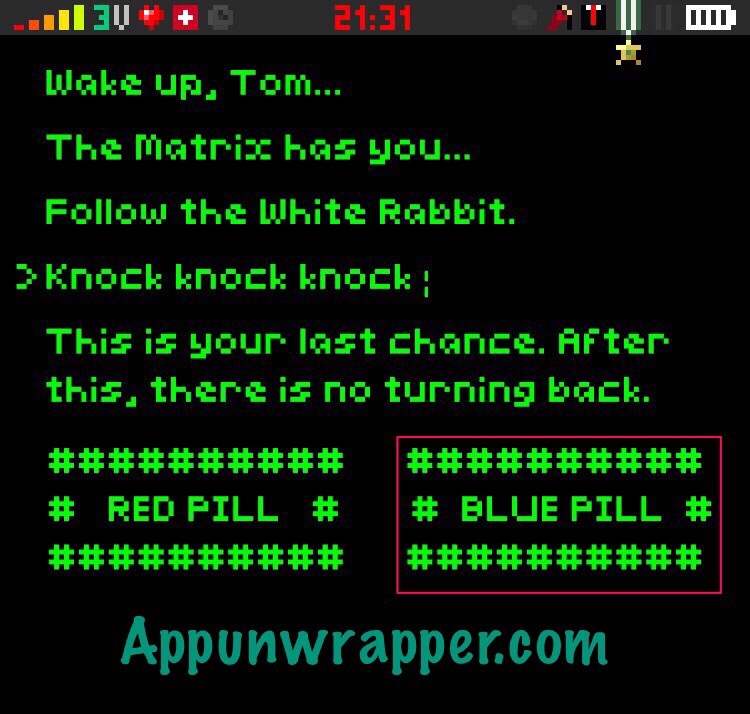 Choose the blue pill for this ending. 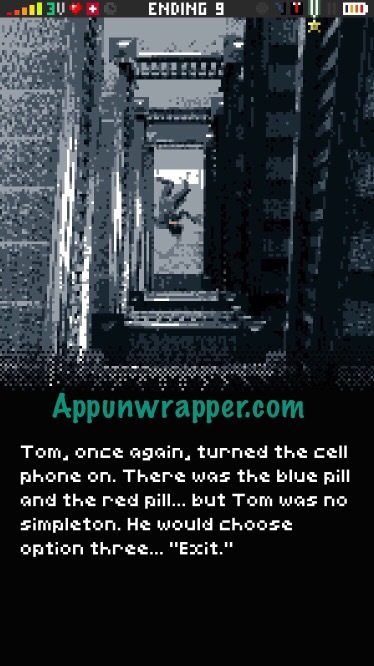 Ending 9: Use code 4989 again to get into the Matrix, but don’t choose a pill. Instead, kill the app. When you open it again, it will show you Ending 9. Ending 10: Use code 4989 again to get into the Matrix. This time, choose the red pill. Dicky will talk to you from your phone at AF16. Let the ending play out. 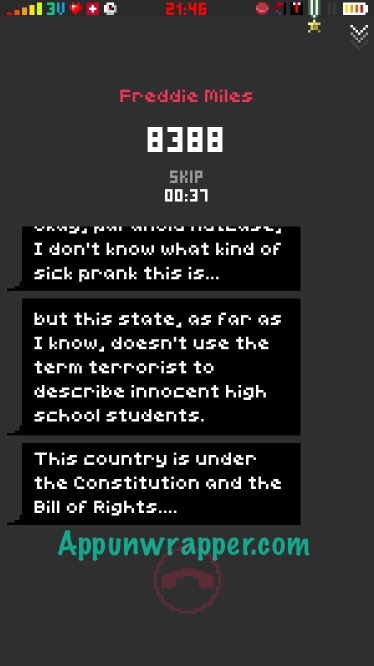 Ending 11: You need to get Ending 4 twice — once normally and than a second time using the Law app. After that, there will be a new law in your Law app. It’s Article 25: “(New) Homeland Security may carry out immediate conviction on terrorist convicts. 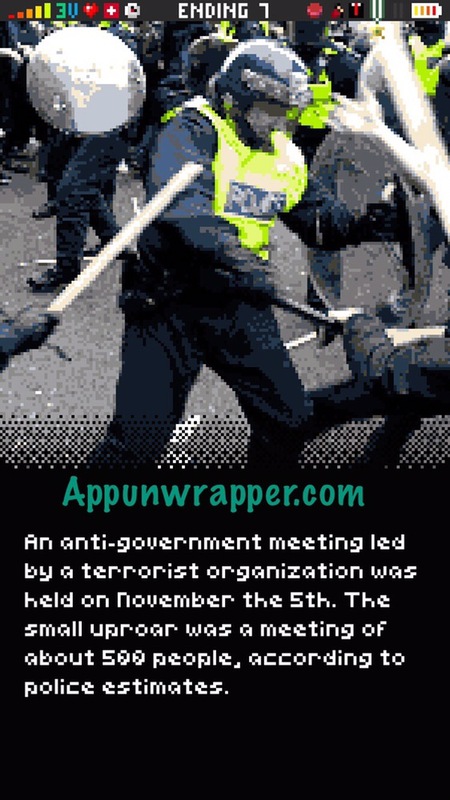 If necessary, terrorists will be shot on sight.” Use it to report any terrorist activity and you’ll get Ending 11. 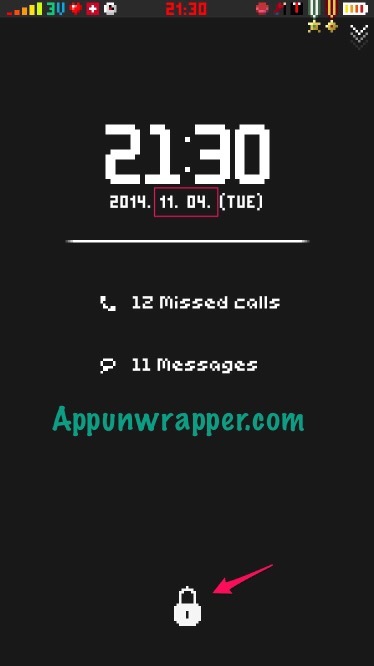 Emergency Call: Call 911 either before or after unlocking the phone. A blood hound: Get Ending 4 twice. The second one involves identifying what law each of the activities violates. I’ll soon list them here for those who need help with it. Please, Don’t Touch Anything: Connect to Ripley’s phone through Bluetooth to access the big red button. Non-Violence: I don’t remember getting this, but I have it. I think you might have to just not do anything for five minutes in the beginning of the game? I’m not sure. I’ll update this when I figure it out. Busy, busy, busy: Log into Facebook before using the ToDo app. Stanley: After you complete an ending and have access to the second Home screen, tap the 430 app 50 times to get this achievement. Patriotism Medal: Once you learn about the location of the meeting and 4885 calls to tell you not to warn any of them, call one of the three friends to warn them. I chose Freddie, but Marge or Meredith should work, too. 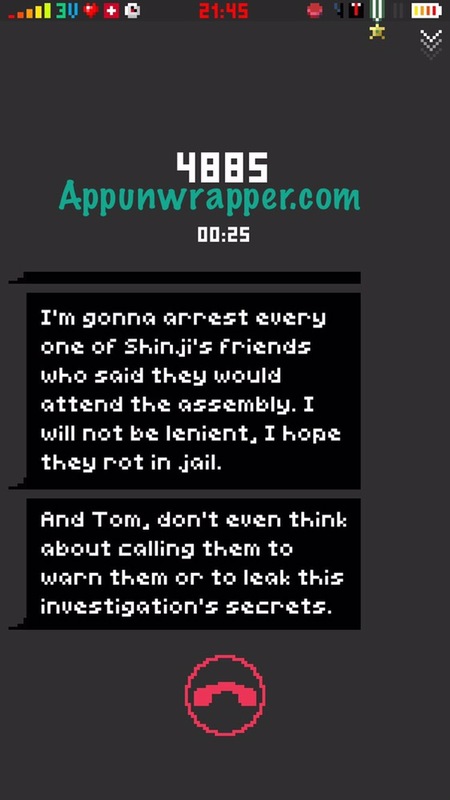 Secret Bonus: Once you unlock all the endings, you can all the developer, Somi, and hear a message from him. You need to spell out his name on the number pad, so you get 7664. It’s in Korean, though. Next PostReplica Review: Dig Deeper. No, Deeper Still. The strange numbers must be geolocation coordinates, but I can’t figure out how they fit in.